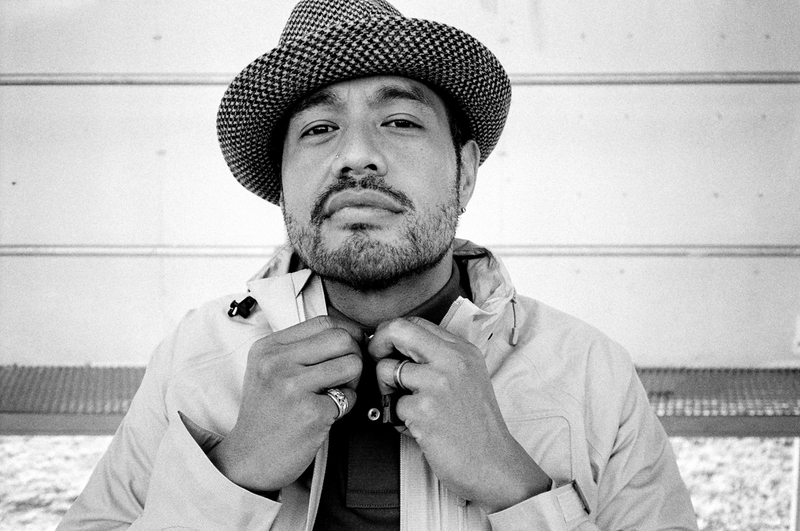 Hau Latukefu has been an integral part of the Australia’s hip hop canvas for well over two decades, best known as the front man for the award winning hip hop duo Koolism ( alongside DJ Danielsan), he continues to push the boundaries of the conventional. More than an emcee, Hau is also a songwriter and respected radio DJ / announcer on Sydney’s Triple J’s weekly Hip Hop Show and one of the hardest working multi-faceted artists in the urban community to date. 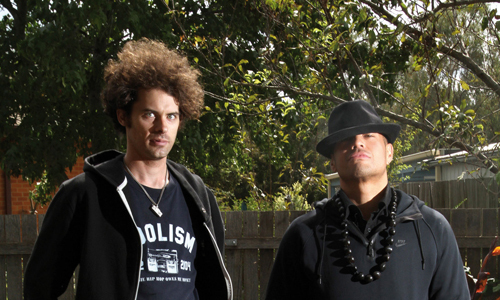 Hau has always remained at the forefront of the Australian hip hop community for being a trailblazer of sorts, whether it be his five album strong Aria nominated and winning discography with Koolism, his success as a solo artist featuring on various tracks with the likes of Hilltop Hoods, Urthboy and Resin Dogs to creating his own sound and music which in itself has created a strong and supportive movement of MC Hau followers. His hip hop is original, authentic and true to the artist he is, creating a dialogue that is necessary in this local community and highlighting the painful truths behind some of this country’s political and social injustices through his music. Not one to fear rebuttal, Hau is a champion for the underdog and steers very clear from the Hollywood Hip Hop that have invaded the airwaves. For this Queanbeyan ACT born and bred musician, his Tongan heritage is at the forefront of all he creates. With a far reaching and widely praised discography under his belt during his Koolism years, his solo career kicked with in grand style with the nationally lauded success of mixtape “Football, Feasts & Funerals” in 2014. 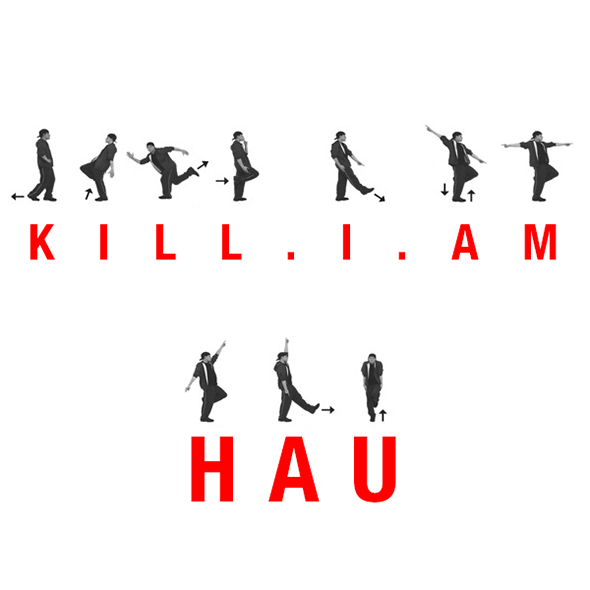 As the Hau steam train continues he gives us his current single “ Kill I Am”, an edgy, abstract and catchy hit that is off his upcoming debut album “ The No End Theory” due for release in late May. Regardless of where this hip hop journey takes him, Hau is always humble, authentic and true to himself and his craft. Never one to take himself too seriously, Hau is as real as it gets when it comes to his insight, knowledge , passion and respect for hip hop and its culture, as shown in his hugely popular online show Hau TV. A dedicated husband and father, Hau balances his blessed life with an almost enviable ease and he meanders between hip hop artist, radio host and family man kinda like superman but without the phone booth to change into his various guises. He is a superhero we all know, admire and ultimately know we can rely on to deliver Australian hip hop pure and unfiltered, just like the artist himself! Hey Hau – thanks so much for your time. How you are brother and how has 2015 been for so far? Hey, no problem at all, it’s my pleasure. I’m thankful for you reaching out. 2015 has been really busy. The end of 2014 was even busier with me not only finishing the record, but also touring, moving into a new place and having a baby daughter! So I started the New Year with both hands full, but feeling very loved, inspired and grateful. It looks easy because I’m just so good at both! Haha. But seriously, it is a lot of fun. Not easy, but because it is so fun, it really doesn’t seem like work. I’m very passionate about music, so it’s a blessing that I get to create, play and talk about a specific genre I grew up on and have loved since first hearing it. You are receiving some major industry love for your latest project and single “Kill I Am” which I have to say is straight fire! I love the tone, vibe and feel of this track overall and see hit on the horizon for you. How are you feeling about it and of course your current works which set for EP release end of April and a national tour come June? Describe the message and creation behind Kill I Am and what made you work up against such a unique and abstract beat. Ah, thank you! I really appreciate the kind words. Yeah, the love it’s getting is overwhelming. Not having released a proper body of work for so long made me feel a little anxious about how my new material would be received by the general public. Especially since reintroducing myself with a song like “Kill.I.Am” which in the current climate we’re in, is, as you mentioned, quite ‘abstract’, in terms of the beat and the lyrics. But I felt like I really had to come back out with something different. Regardless of whether most people like it or not, you can’t say that it’s not “unique”, like how you put it. Have to big up Sensible J & Dutch for that beat. Murdered it. You will always be remembered and praised for your brilliant works in hip hop duo Koolism a few years back. What are your fondest memories of being a part of such an historical element in Australian hip hop history and who else have you / are you collaborating with on both a local and international level with your current music? Yeah, thank you. Koolism plays a big part of my life and has made me the artist and in some ways, the man I am today. I feel Daniel and I really created some great music and a lot of the times, it was unfortunately ahead of its time. But those who knew, knew. I have a lot of fond memories of Koolism. We forged some awesome friendships, we travelled a lot, performed at some great shows… But the two that stick out the most in my mind are winning an ARIA and hanging out with Kool Herc that same night. Quite surreal. I’m really excited about the collaborations on my new project. On the EP I have Sky’High (“I On U”), P-Money, Rex Martel aka Mareko and Rizvan (“I Am I Be”) and Ngaiire (“Style”). All very talented and make the songs they all feature on something special. As for the album, you’re going to have to wait and see! Your thoughts on the progression of Australian soul / funk / hip hop on a commercial and global stage Hau and where you fit into that blueprint? On a commercial level, there have been some progress. We can look at that in a few ways. If we still consider Iggy Azalea as an Australian artist, then we are going great guns in that department. We can also look at Hiatus Kaiyote. They may not have the same mainstream success as Iggy, but the love they do get from such artists as Erykah Badu and Questlove is amazing to me. And well deserved. Hell, they were even nominated for a Grammy! On a smaller scale, if we look at hip hop artists like Hilltop Hoods, Bliss n Eso and Drapht, that movement is flourishing as well. You could also mention Illy, Horrorshow and Seth Sentry. But the underground scene is well respected globally as well. You will have small pockets around the world that love our underground hip hop. As long as there is a balance, I’m happy. I would like to see more support for local soul and hip hop artists on commercial radio, though. There are a lot of great musicians that get love on triple j that won’t get a look in on those stations. Which is a pity because I feel like those musicians could be getting the mainstream love they deserve. Commercial radio needs to grow some balls and just support great music that isn’t just pushed by the major labels. Life. Living life. Trying to make the most of it and living in the moment. Sounds cliché, I know, but it’s true. Whether you live the lavish life or the thug life, how can you not be inspired by that? My family and friends also play a big part of being inspired. I’ve always had the fortune of a great support system. From my parents to my wife to my crew. I honestly wouldn’t have been doing music for this long without them. Musically, anything that is creative, funky and soulful. I grew up on pop during the ’80s and generally the bands back then had a lot more style and innovation about their music and art. As far as hip hop, I’m grateful I got to live through the golden era – ’88 to ’94. That was a beautiful period for hip hop. Everything was so fresh and their wasn’t so much outside influence when it came to the creation of music. If I was to name a few artist that inspired me from back then, I would say De La Soul, Nas, Run DMC, Boo-Yaa TRIBE, A Tribe Called Quest, Black Sheep, Public Enemy, Big Daddy Kane, Ice T… man, I could go on for days. But I’m not that old head who says there isn’t anything out today that would be on par from that period. That simply isn’t true. You see/hear artists like Kendrick Lamar, Joey Bada$$ and Fashawn all delivering awesome music. I’m thankful I get to live through these modern years as well. What are your greatest motivators in life? To be an inspiration. That doesn’t sound too wanky, does it? Haha. I’d like for my kids to feel like their father tried to be the best he could be whether it being a father, a husband, an artist – just a good human being. If you could be a hip hop superhero, what would your hero name be and what would you protect? ← R A the Rugged Man – Hip Hops Rough, Rugged and Raw!